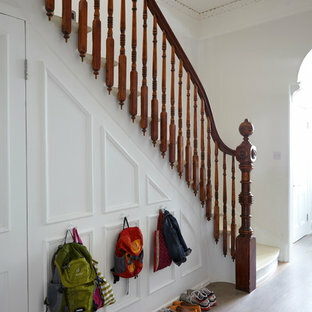 Medium sized victorian wood u-shaped staircase in London with painted wood risers. 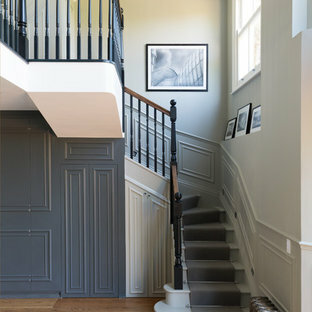 This is an example of a victorian painted wood l-shaped staircase in London with painted wood risers. A chic hallway with Farrow & Ball All White walls and Cornforth White skirting. 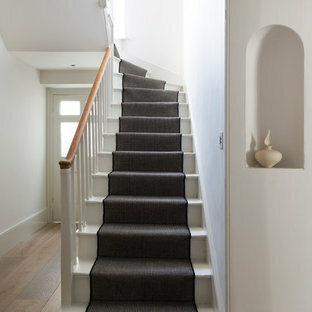 This combination sets off the purple carpet and stair runner whipped with grey edging. The hanging lantern and french style furniture compliment the white and purple nicely. Design ideas for a victorian painted wood curved staircase in London with painted wood risers. This is an example of a victorian painted wood l-shaped staircase in Oxfordshire with painted wood risers. This is an example of a victorian carpeted l-shaped staircase in San Francisco with carpeted risers. Inspiration for a victorian wood u-shaped staircase in Austin with wood risers. Design ideas for a victorian carpeted u-shaped wood railing staircase in DC Metro with carpeted risers. 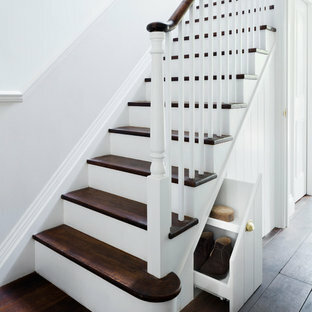 Design ideas for a victorian wood straight staircase in Chicago with wood risers. 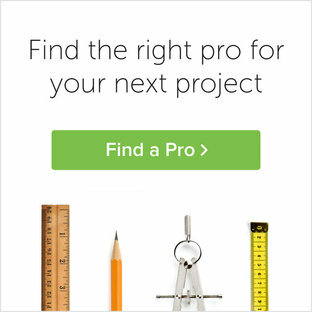 Landscape Architect: Howard Cohen, Surrounds Inc. This is an example of a medium sized victorian straight staircase in DC Metro. 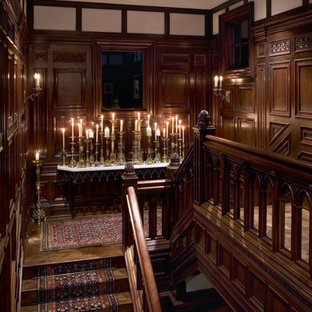 This is an example of a victorian wood u-shaped staircase in Boston. Inspiration for a victorian wood staircase in Chicago. 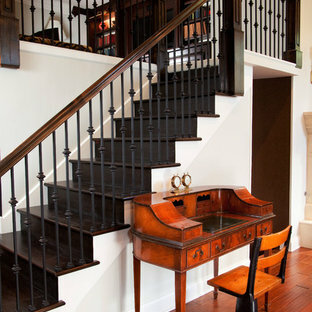 Design ideas for a victorian wood staircase in New York. 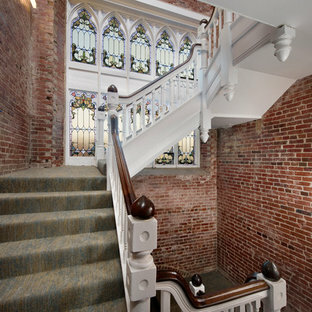 Photo of a victorian staircase in Boston.